I love that first card - so pretty! Love your cards-- my fave is the first one-- simply elegant! Beautiful cards! 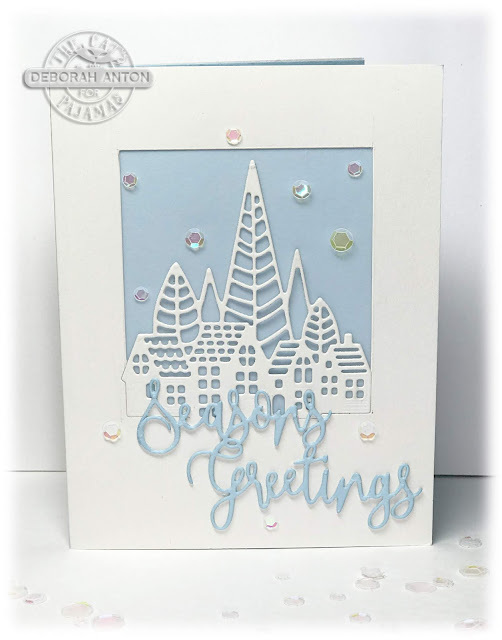 I love the winter scene on your first card! 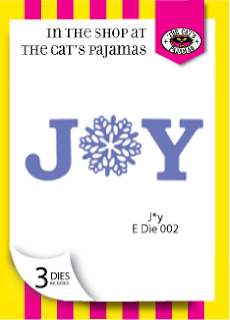 Fun Joy card also with that pretty plaid! Just love all the white on your first card! Just beautiful! Thanks for showcasing these new products beautifully! 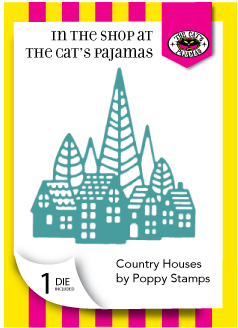 Very pretty village scene Deborah - clean and simple - my kind of card. Love the colors on the second one. Love the soft blue and frosty look of your village card! And the plaid is perfect for your CAS design! You used the new dies beautifully! I'm so excited to have the penguins, cat and dog and PJ back in this release! They went straight to my wish list! That village in the simple blue and white is so classy and stylish looking. Captures the feel of a cold winter day but with a warm softness from the blue. Your cards using the new dies are very elegant. Thanks for sharing! Oh simply gorgeous! Beautiful clean designs and perfectly festive! Love both of these cards. The first one is so peaceful. Love it, a new Sprinkle stamp.